Fancy Napkin: .Baby Things: Current Baby Favorites. While I know that my baby is already beyond spoilt [in both 'love' and 'things'] and it's not even here yet. I cannot help myself. I find myself sitting in my half finished nursery and seriously just pulling out item after item and fiddling with it all. Little things are just too darn cute. It's weird. I can totally see my little one smiling up at me in that cute little sweater, playing with that ridiculously cute bus, or walking in those tiny adorable shoes. It's like he/she is already here. And already so awesome. 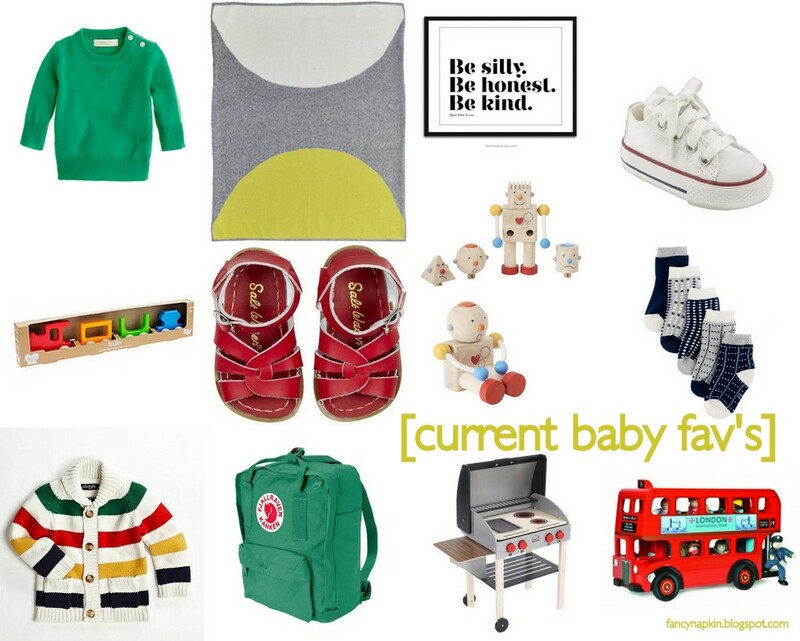 These are all on my radar and are currently my new favorite baby items for both a boy and girl. Not all practical, but certainly cool. And I think these are all slowly falling into the "need" list. 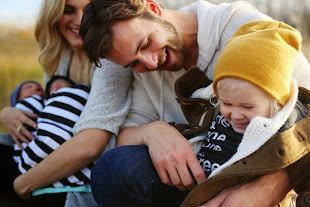 My pinterest account is overflowing in cool baby things, but I'm curious, what are you totally loving right now for your little one?? oh my goodness, that robot is awesome! It's one of my favorite little toys. I'm likin' your style... I've been eyeing up that HBC sweater for awhile, but the price tag is holding me back (and the hot summer heat). Isn't that sweater to die for! I'm thinking it's going to be my next baby purchase regardless of the price tag (although it is pretty pricey). I just can't stop going back to it's cuteness.